To serve is to disrupt. To disrupt the broken things we see that stay broken because its no ones to own. To disrupt the disconnection between what neighbors see and don't see. To disrupt ways of thinking that keep us from seeing another, potentially better way. To disrupt ourselves. To disrupt the way we spend our time, the way to connect to others, the places and things we put our value in. Frankly, we need to choose to disrupt ourselves, not wait for things to disrupt us. By disrupting ourselves, we get prepared for those times when life disrupts us. This kind of disruption leads us to deep, meaningful, and diverse relationships that provide more life-giving benefits than anything else we could invest our time into. This is why we created Be A Good Neighbor Week. We know that it's hard to choose things we don't naturally gravitate to, and when we're required to take ownership, it slows us down even more. So, it was our staff and core volunteers' goal to do all the hard work of selecting and setting up projects just to get volunteers out in the neighborhoods. We asked people to consider taking a day off, a few half-days, or a few evenings during the week to say no to the things you wanted to do and yes to the things you could be doing to help others and learning more about yourself. Thankfully, a few dozen volunteers took that challenge and joined us over the week and invested 450 total hours into projects from Monday through Sunday, According to IndependentSector.org, those hours translate into $11,110.50 in value to our organization according to their value of a volunteer hour calculations. 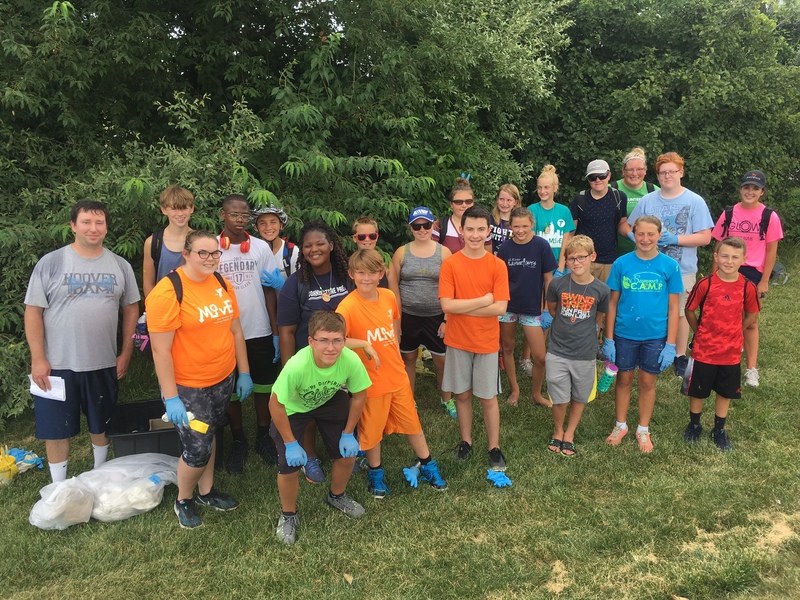 Several groups from YMCAs in the Fort Wayne area mobilized teams to paint fire hydrants as well as do yard work projects. 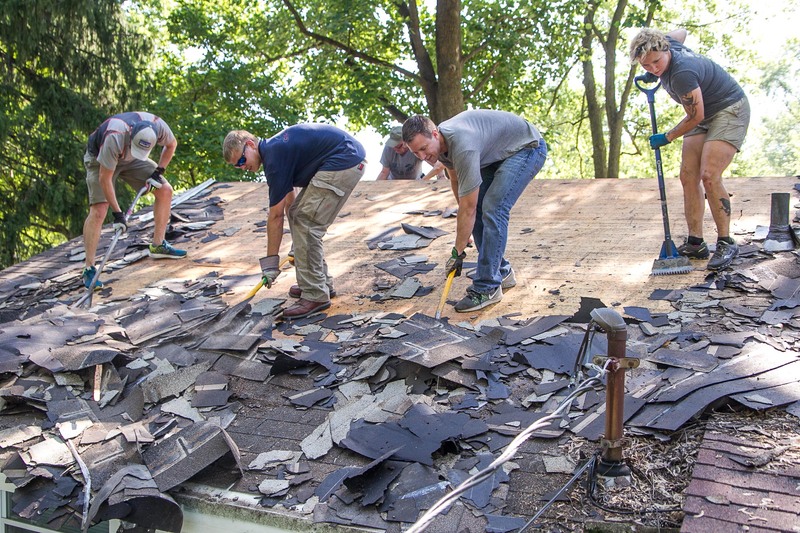 We had three Team NeighborLink teammates take days off work and drive from both Muncie and Plainfield to help put a new roof on. We had three Weigand Construction team members take a day off work to join us on the roofing project as well. YLNI mobilized some members to paint fire hydrants. A young adult leader from Central Ministries saw the promotions on Facebook and got a team together that week to help paint a house for several hours. 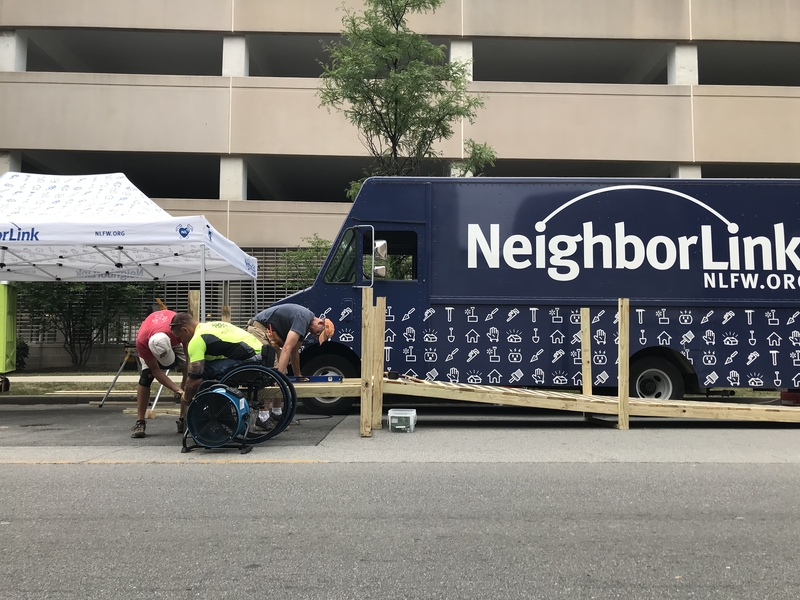 Our Carpenter’s Sons team of retired guys led the roof project, wiped clean a long list of code violation repairs at a home, and pitched in all week, including helping lead our wheelchair ramp building demo at Open Streets Fort Wayne on Sunday. 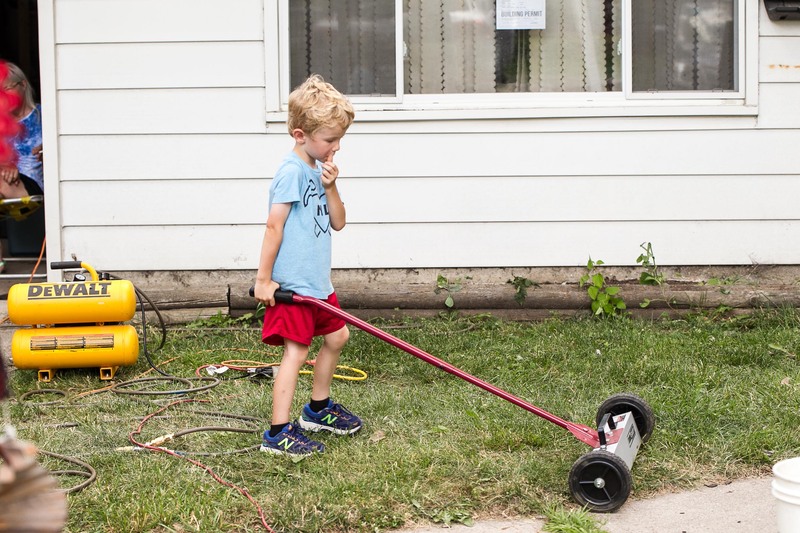 NL staff and families even got together on Thursday to do a yard cleanup project on our own, which was a blessing to have the opportunity to serve together. Plus, we had a dozen Team NeighborLink members volunteering on two different TNL events that week. Joy comes to us in many forms. For me, doing tangible things for and with others that improves quality of life for all brings me joy. 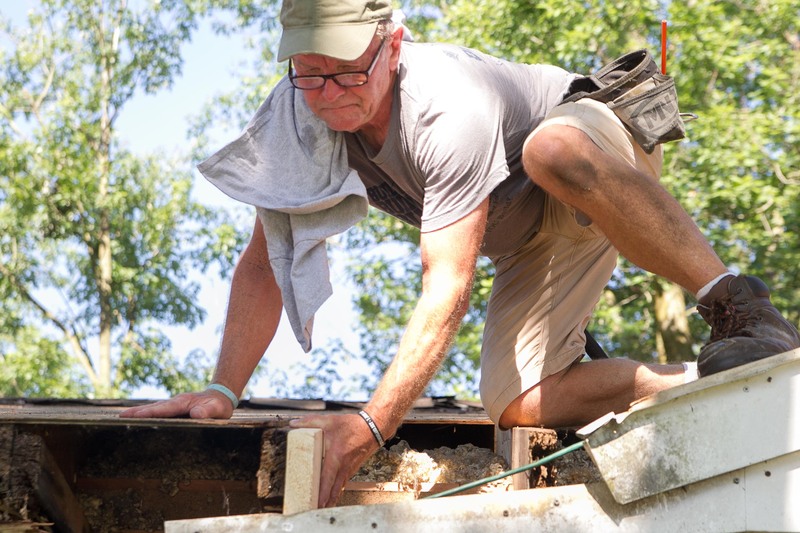 I’m grateful for the 20 different people that joined me on the roof project to help David and Rose Mary. I’m grateful for the 30+ people that donated to my Birthday Campaign back in May that helped fund this project completely. 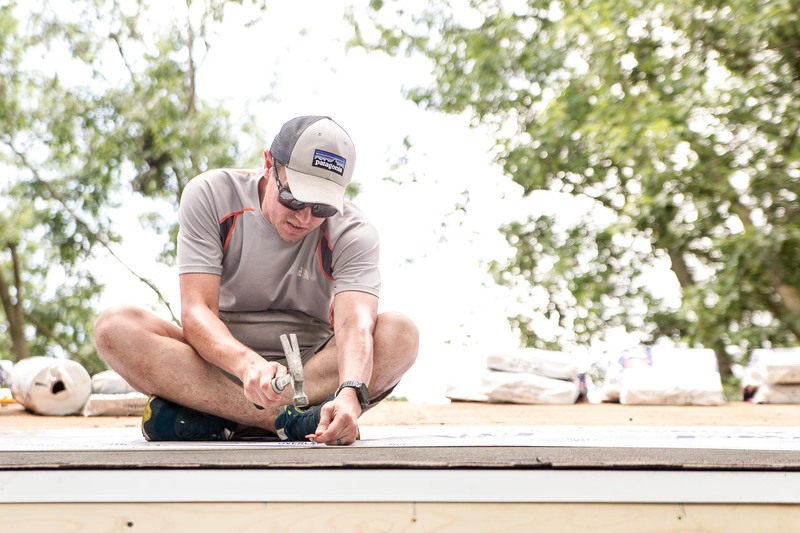 Most of all, I’m grateful to Ron who led this project over three days, because without that leadership, we would not have been able to successfully complete that roof. Be a Good Neighbor Week was a reminder to our staff that even we need to be disrupted from time to time by week-long efforts like this. We can get in our routines at work and at home and miss the opportunities right in front of us. We got a really good glimpse of all aspects of NeighborLink that week from projects to fundraising to TNL events to even receiving a really significant $80,000 SEED Challenge Grant from Ambassador Enterprises for a program that we’ve been trying to launch for a number of years. We were excited, frustrated, defeated, lifted up, encouraged, exhausted, and a whole host of other feelings that week. However, we are certain that God was present, at work, and in the process of using His people to make things news. If you’re short on joy in this season of life, come volunteer with us at NeighborLink. 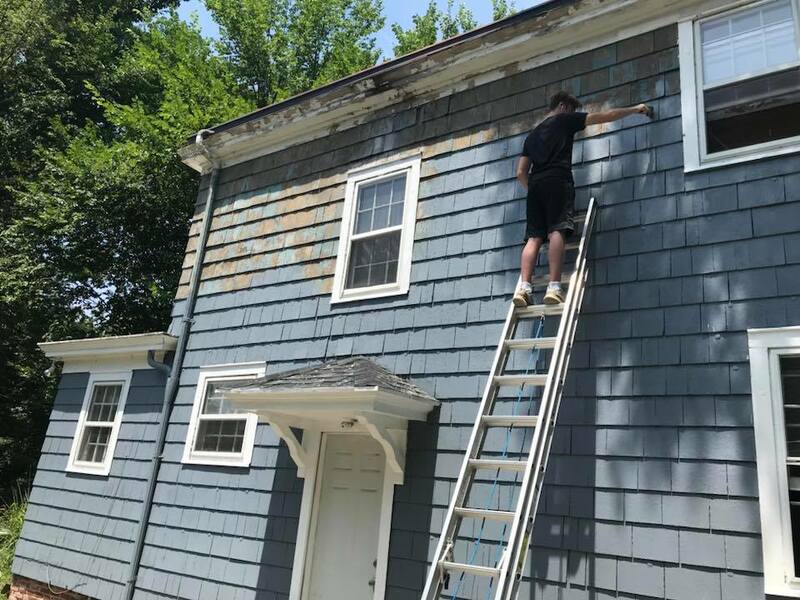 Seeing shingles go down on roofs, grass getting cut, or fresh paint on an old house makes life a little more fulfilling. Disrupt yourself if you’re feeling complacent, in a rut, or a bit uncertain about what the future holds. We have stories after stories of people just like you who found the vision they needed after they started showing up in the margins and offering what they had to others who could use it. Click here to see a full gallery of images from the week.